Born November 23, 1984, Christopher Chung’s passion for music is innate. His father being a music collector had little Chungy’s mind instinctively conditioned to identify quality music and appreciate a song’s production in its entirety. Chungy was exposed to a wide catalogue of music genres namely Reggae, Country, Soul, Rhythm & Blues, Calypso etc. So, not surprisingly, as a teenager collecting cassette tapes and CD’s from a variety of genres and reading several entertainment magazines and news articles his knowledge of music expanded greatly. After years of studying accounting and being in the Tourism Industry, Chungy’s journey in music and exploring the culture of Reggae continued. Being a journalist for LYRIC Magazine based in Canada, interviewing reggae and dancehall artistes and working on several documentaries including “ICE PICK” and “THE HISTORY OF REGGAE” and doing freelance journalist projects for several reggae/dancehall websites, fed his hunger. The tide of the voyage seems to mystically steered him back to Port Antonio where it all began, and has since docked at Stylz FM. 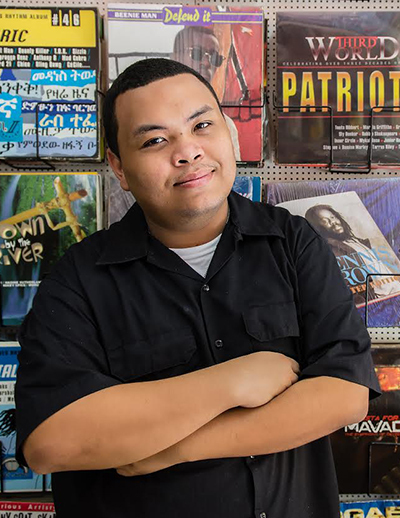 Starting off as a Librarian and a Studio Engineer, he quickly mastered the craft at being a radio presenter, and now has one of the most anticipated show, called “Caravan of Love” from 9 am – 1 pm on Wednesdays. That’s four hours of love songs in his caravan. Chungy shares his musical roundedness each Saturday morning with “Jump Start” from 6 – 9 am. As it relates to the art of being a Radio Presenter, Chungy believes that unpredictability and creativity is the key to consistently marvel the airwaves.